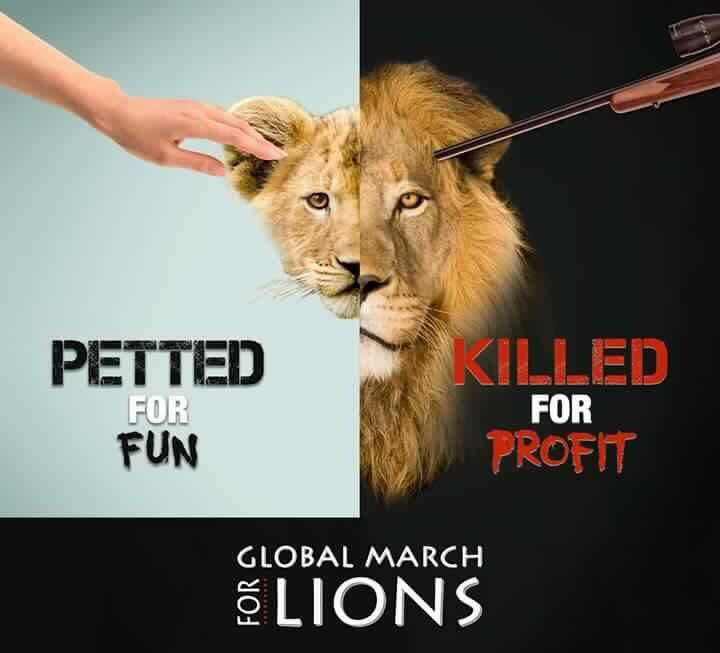 Wildlife ACT says, "You Pet a Lion, You Kill a Lion"
Poster designed by Laura Ringemann Springer for the Global March For Lions campaign against canned hunting. Approximately 1,000 captive-­bred, hand‐reared lions were killed in South Africa last year – fueling a multi million-dollar international industry. It is estimated that there are currently between 6,000 and 8,000 predators still in captivity, mostly living in appalling conditions with inadequate breeding and welfare protocols in place to protect them. Volunteers who are made to believe that they are supporting bona fide conservation projects and that lion cubs will one day be successfully reintroduced into the wild, are being lied to. 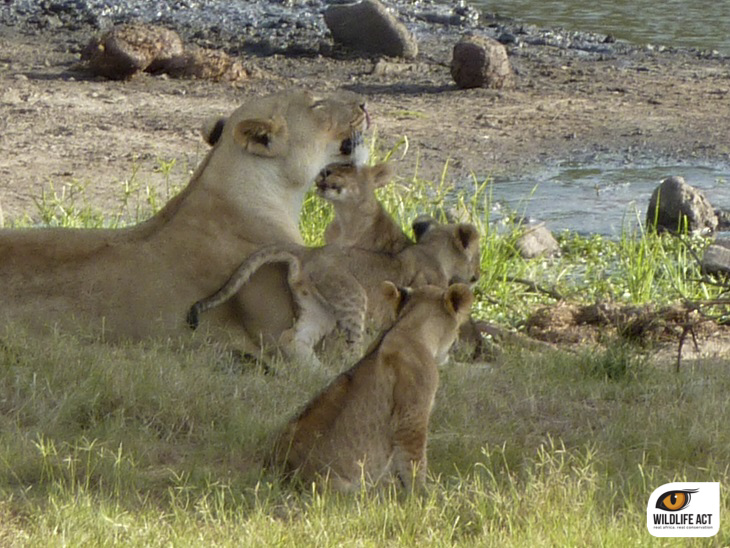 Lion ecologists state that captive breeding plays no role in the conservation of this species whatsoever. Blood Lions™ – a feature documentary that exposes the captive lion breeding and canned hunting industry in South Africa, has evoked an engaged response from the global community regarding the practice of breeding lions, as well as the mismanagement of wild lions – purely for the entertainment of the tourism community. Image courtesy of Blood Lions. From 9-13 March, ITB (Internationale Tourismus – Bȍrse Berlin) ­‐ a major international tourism trade fair in Berlin, Germany –­ will be showing Blood Lions™ as well as hosting panel discussions and a workshop (“Predator Interactive Voluntourism”) to discuss how tourism and travel activities can play a part in ensuring the exploitation of predators is no longer an acceptable practice. 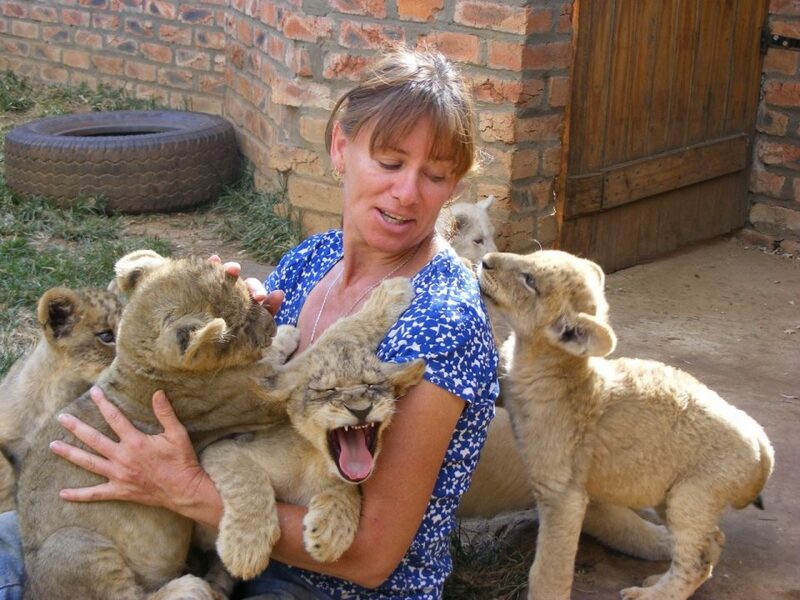 Blood Lions™ producer, Pippa Hankinson, will be screening the film as well as participating in a number of key events. Together with Dr. Simon Morgan, Director of Wildlife ACT, Pippa has been invited to present the keynote address at Fair Trade Tourism’s annual event on Thursday 10th March at 10h15. They will also be participating in the subsequent panel discussion entitled “Imagine Helping Africa”, where issues regarding the quality in the volunteering sector, as well as how this might impact on the image and brands of the continent, will be examined. Blood Lions™, Wildlife ACT, Fair Trade Tourism and Global Nature Fund will form part of the panel discussion. This valuable debate will include questions such as whether these interactions support ethical and sustainable tourism, or not. The role of predator sanctuaries will be looked at, together with the criteria for identifying bona fide conservation projects. The link to “canned” or captive hunting and the “tiger bone trade” will also be examined. VOLUNTOURISM: ARE WILDLIFE VOLUNTEERS BEING CONNED? 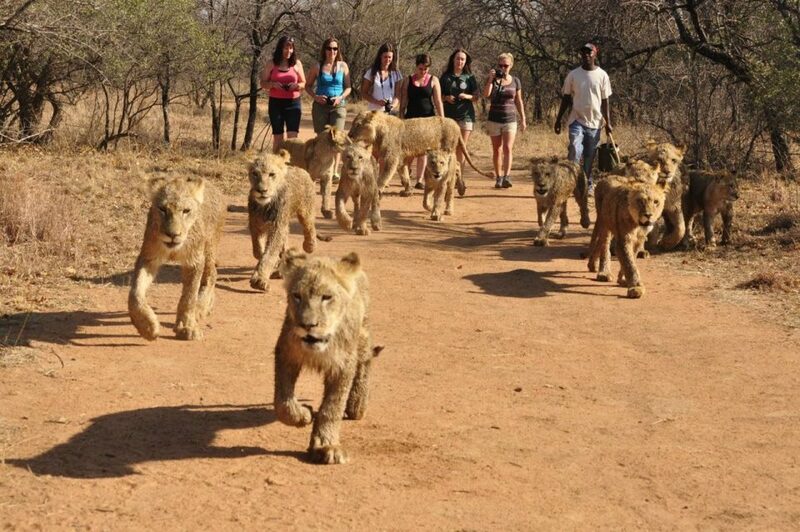 On Friday 11th March there will be a 30 minute presentation on “Predator Interactions – are tourists and volunteers being conned?” This will be followed by a short interactive Q&A with Blood Lions™ producer Pippa Hankinson and Wildlife ACT director Dr. Simon Morgan, around whether tourists and volunteers are being misled. “There is still a lot of work to be done and unfortunately the abuse of the “Voluntourism” dollar is still high, with lion cub petting and lion walking still being promoted heavily in Southern Africa,” said Dr. Simon Morgan of Wildlife ACT. Wildlife ACT and Fair Trade Tourism began the debate during the World Youth Travel Conference in Cape Town, by hosting a screening of Blood Lions™ with a follow‐up workshop with the conference delegates and film producers. It was at this conference in Cape Town that some organizers of ITB realized the importance of bringing this message to the global travel industry. “The message needs to reach unsuspecting supporters of this abhorrent practice of breeding lions to be bottle‐fed, petted, cuddled, taken for walks and then ultimately hunted for profit,” say Dr. Simon Morgan.